Rent Hakone Estate & Gardens | Corporate Events | Wedding Locations, Event Spaces and Party Venues. 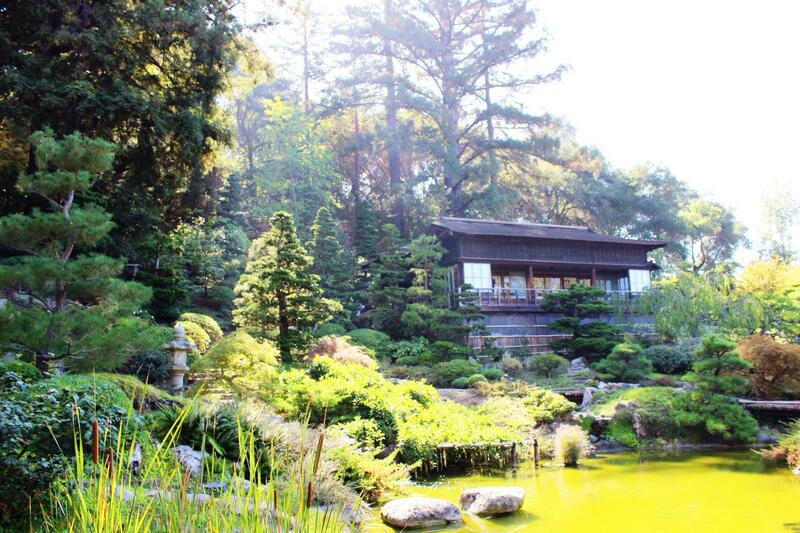 Hakone is a unique and intimate venue, unmatched by any other indoor or outdoor setting in the Bay Area. We are a preferred venue for weddings, receptions, corporate events and special occasions of all types. Imagine your guests strolling through our gardens, eating under the stars or inside one of our many historic buildings, imagine the beauty of nature surrounding you as you celebrate your special occasion. Our unparalleled location, in the Santa Cruz Mountains overlooking Silicon Valley, coupled with the exquisite authentic Asian gardens, lush greenery, historic buildings and serene, peaceful atmosphere, combine to provide the most attractive venue imaginable for your event. We work with a number of fine local caterers, servers, florists, bakers, photographers, and event coordinators who will assist you with planning your special event. And with years of experience, our Hakone staff will help guide you through each step of your event. Hakone is a unique and intimate venue for your wedding ceremony and reception, unmatched by any other indoor or outdoor setting in the Bay Area. The Event Staff at Hakone is available for you seven days a week (with the exception of holidays and special events). Looking for a special venue for your wedding can be overwhelming and we are here to help you. We will meet with you one on one, no group tours, because we strongly feel that each couple deserves our full attention. Hakone offers an ideal Silicon Valley venue for executive staff meetings, corporate conferences, training seminars or other retreats requiring a productive atmosphere away from the interruption of hotel and office settings. Comfortable seating, audio-visual resources and catering are available to make any business meeting run smoothly. Hakone also offers several break-out spots: by the Koi pond, in gazebos, in the bamboo garden as well as benches throughout our garden. Your retreat or business meeting at Hakone will provide you with the perfect venue for both creativity and productivity. Choose from Cultural Exchange Center and the Lower House (a.k.a. Zen Garden House). Hakone has been the memorable location for events such as birthday celebrations, anniversaries, bridal/baby showers, memorial services, graduation parties, and engagements. Consider these lovely gardens and buildings for your next event for a unique imaginative setting unlike any other in the Bay Area. For accommodations, pricing, and availability inquiries, please send a quote request.